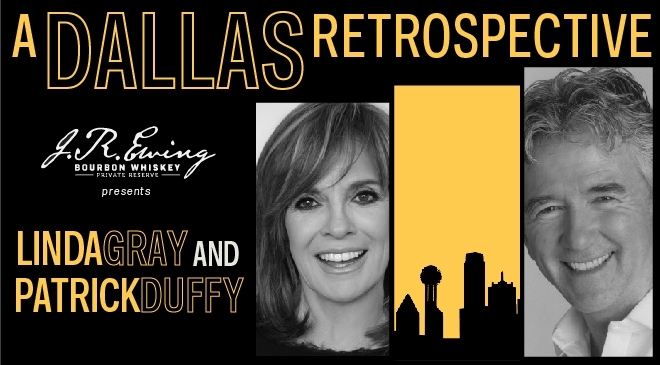 Join Linda Gray and Patrick Duffy as they take the audience back by reminiscing about their careers and their time on the iconic show Dallas. The evening will be moderated by The Dallas Morning News City Columnist, Robert Wilonsky. popular half-hour situation comedy Step by Step, Patrick has consistently been an audience favorite. numerous International awards. After eleven years as the number 1 show on television, Dallas returned to TNT in 2012 and ran for 3 successful seasons. This event is sponsored by J.R. Ewing Bourbon, a nationally distributed bourbon brand conceived and based in Dallas.